Kathrin Sonntag (born 1981, lives in Berlin) uses common objects and situations in a multitude of mediums such as sculpture, photography, film and drawing. She undermines their reading to elicit the moment “when abstraction hits everyday life”. 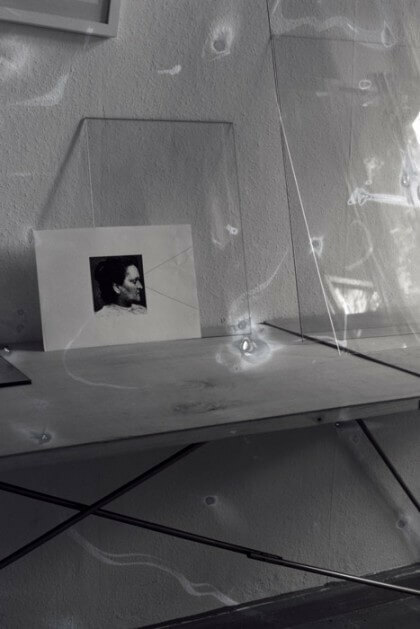 The 81 black and white slides of Mittnacht (Midnight) (2008) were photographed in the artist’s studio and employ images connected to paranormal phenomena. 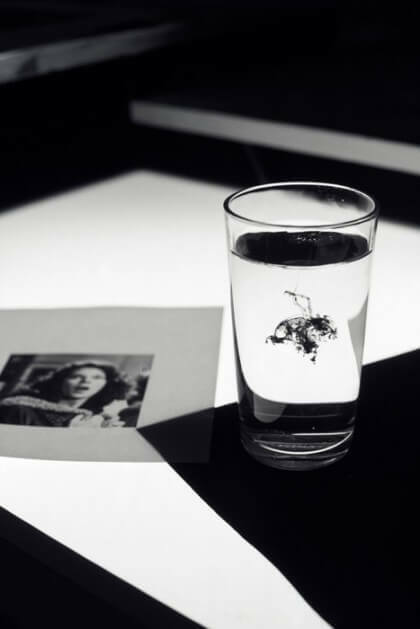 Reminiscent of the spiritualist photography of the 19th century, these mises-en-scene generate reflections through mirrored surfaces and glass objects. 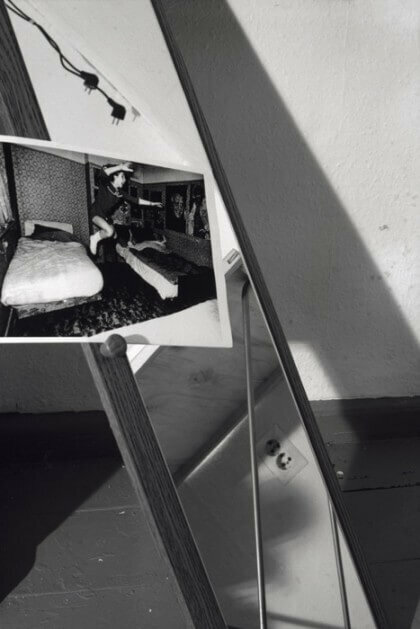 Mittnacht generates a proliferation of mental projections and thereby explores photography as a ghostly medium.